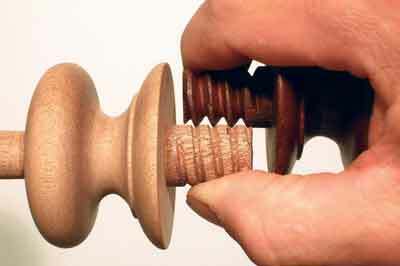 Screw threads have long been used as a way of joining wood, bone and ivory. 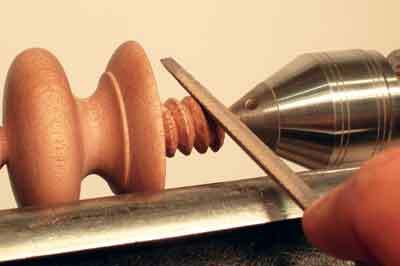 Thread chasing on boxes and puzzles is becoming a popular turning discipline thanks to the work of people like John Berkeley and the late Bill Jones, but these tend to be fine engineered threads. 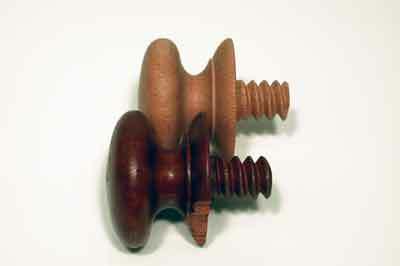 The screw threads found on antique furniture that hold drawer pulls on to drawers or finials in place are more coarse, with the male threads originally being cut by hand and the female part cut using often unique, homemade taps. 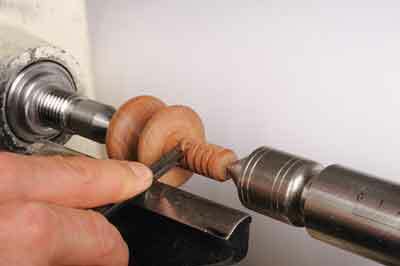 Restoration work is amongst my favourite, the challenge of matching a hand cut thread as well as copy turning the shape, staining and polishing, always has me looking forward to doing the job. 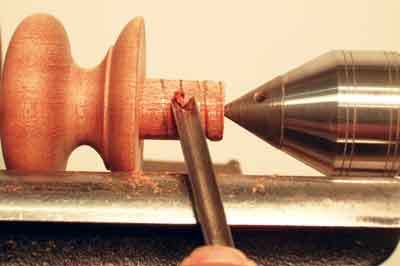 The tools I use for this are 60° and 45° 'V' shaped carving tools, a triangular file for refining the shape and a pair of dividers for setting the pitch of the thread.